Northwestern University in Qatar (NU-Q) has announced its first initiative in what will be a series of executive education programs. Building on its expertise in the area of strategic communication and media, the program will include three masterclasses, all focusing on sport communication. 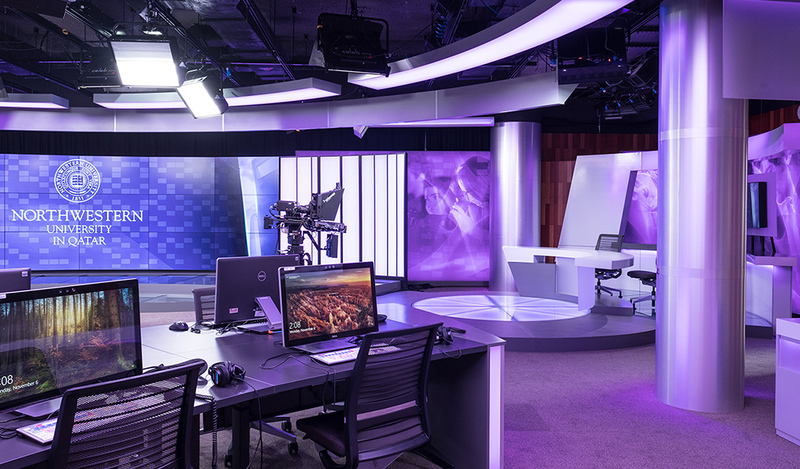 “In developing this program, we tapped into our professional experience in the ‘media and sport’ sectors to bring together world class experts from the media industry to lead these masterclasses,” said Everette E. Dennis, dean and CEO of NU-Q. NU-Q will offer three industry-specific masterclasses in February that will focus on sport media, marketing, and law to launch the executive education program. Dennis also noted that NU-Q’s executive education programming – including the masterclasses being announced today – are in response to an expressed need that has been relayed to the University over the past several years. The development of the sport communication masterclasses is the result of extensive contacts with leaders in the media industry and government officials in Qatar, as well as a market study, commissioned by NU-Q. Increasingly sport “is a creature of media,” the dean said, and “anyone involved in managing or leading sports enterprises needs to be steeped in media understandings and operations.” Northwestern’s home campus has been a leader in sport and media management and NU-Q has offered a sport and media course for several years. To launch the executive education program, NU-Q will offer three industry-specific masterclasses in February that will focus on sport media, marketing, and law. Overseeing the program is NU-Q Professor Craig LaMay, an expert in sport journalism. A Northwestern University scholar, LaMay previously taught a course in Sports, Media, and Society at NU-Q in 2013. He is a former associate dean at the Medill school, currently on leave from his position as associate professor at Northwestern’s Medill School. The upcoming workshops are part of a broader program on sport, communication, and leadership that LaMay is designing. The program being offered in February – The Changing Business of Sport and Sport Communication – is the first in a series of topics the University will hold that will provide executive education for communication professionals in the media and sport industries. February’s masterclasses will be offered to individuals with undergraduate degrees and a minimum of one to two years of professional experience. An NU-Q certificate in Sport Communications will be awarded for completion of all three masterclasses. The program will be held at NU-Q’s new building in Education City and will take place over three consecutive week-ends in February.